Many current suicide prevention interventions focus on raising awareness of suicide or on preventing it only at the point just prior to it occurring. 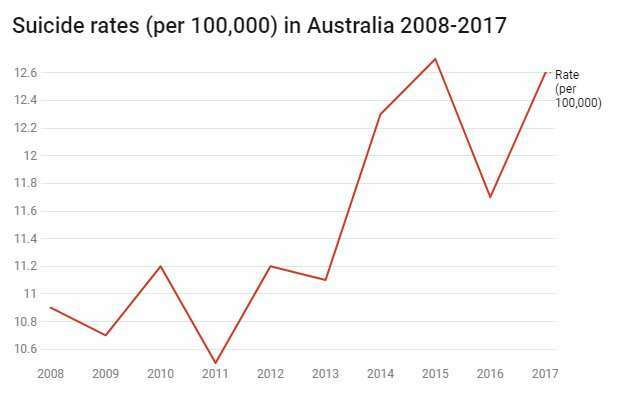 But despite decades of government investment in suicide awareness programs, the rate of deaths by suicide in Australia is the second highest it's been in ten years. Clearly, we must expand our efforts. Suicide occurs when a person can't identify any other effective strategy to reduce their distress. It comes at a point when a person has reached the end of their tether. Australia's National Mental Health and Suicide Prevention Plan 2017–2022 largely focuses on this kind of endpoint when people are about to die or have died of suicide. The focus is also on people with serious psychiatric illnesses or those considered at "high risk" of suicide. To bring down Australia's suicide rate, Australia must stop focusing on the suicide itself and put more effort into helping people find ways to cope. It should invest on helping people reduce their emotional reactivity, rather than waiting to intervene until the last minute before someone dies. There is often discussion about which age groups (adolescents, older adults or middle-aged adults), life circumstances (homelessness, domestic violence, workplaces, childhood abuse), or professions (doctors, lawyers, veterans, FIFO workers) have highest rates of deaths by suicide. This can distract from the underlying biological, psychological and social factors that contribute to suicide. The factors contributing to distress and emotional reactivity are well-established. They are unhealthy environments (physical, social, cultural and economic), inadequate parenting, social isolation and unhealthy behaviours (sleep, nutrition and exercise), healthy coping, lack of resilience and lack of access to physical and psychological treatments. Most of these factors don't feature in Australia's National Mental Health and Suicide Prevention Plan 2017–2022. Where the plan does address psychological and social issues, it does so in relation to people who already have a serious psychiatric illness or those considered "at high-risk" of suicide. In our overburdened health systems, often only those determined to be at "high risk" get access to immediate services. Despite assessing risk for suicide being the prevailing model, more than 50 years of data has shown this approach is ineffective at the individual level – as everyone is different and the issue is complex. If a person is deemed to be at risk, health professionals in Australia and internationally generally make decisions as to what shall be done to the person and what services they can receive. Such practices often end up detaining, monitoring and reducing access to possible methods of suicide. While such strategies can help prevent someone from dying by suicide in any given moment, failure to address overwhelming stressors and improve everyday coping strategies leave a person vulnerable in the future. These practices can also make patients feel traumatised and unsupported. There are three areas that need attention if we truly want to help people reaching the end point: prevention, evaluation and support. Nationally, we have high rates of those factors associated with emotional instability: inadequate sleep, poor nutrition, and inadequate exercise. These are some obvious population targets to improve mental health in all Australians and prevent long-term risk of suicide. Meeting people's basic needs for housing, parenting, and belonging are also important. Health practitioners need to be skilled at identifying the primary drivers of distress and mental illness, and providing treatments. They must have links for patients to access community resources (such as financial aid, domestic violence support, housing, sleep, nutrition and physical activity interventions) where necessary to support their health and well-being and reduce distress. People who are distressed need to be supported to cope and access the right intensity of support when they ask for help. Too many people who ask for help are assessed as "not at high risk" and later die by suicide. Others are discharged from inpatient services without adequate support and later die. We must invest in supporting all Australians to cope, rather than waiting until the moment before we think they may die from suicide. Focusing on suicide as a suicide prevention strategy has not been effective in reducing the prevalence of suicide. While we continue to fund band-aid solutions, rather than addressing the complex factors that contribute to emotional problems and overwhelming distress, it is unlikely rates of death by suicide in Australia will decline. There is talk of setting targets for suicide prevention, which is also a very low measure of success. 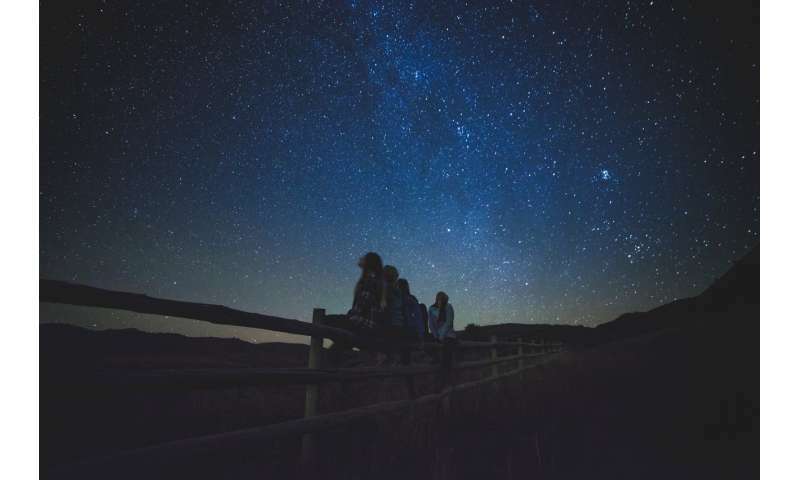 Similar to observing and monitoring vital signs of inpatients with suicidal thoughts to ensure they are alive, it ignores the mental life and quality of life of those who are alive. Our long-term mental health strategy needs to focus on preventing distress through improved health and well-being, improved coping, and providing timely and adequate access to evidence-based treatments for all those who ask for help.